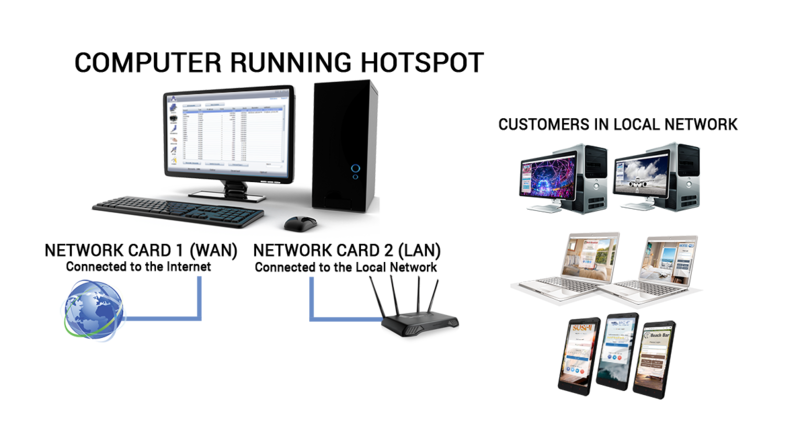 Antamedia HotSpot Software is the most feature-rich guest WiFi hotspot management software in the industry. It helps you control and bill your customers for the Internet access, engage them with captivating advertisements, collect guest data and surveys, send automatic promo emails. 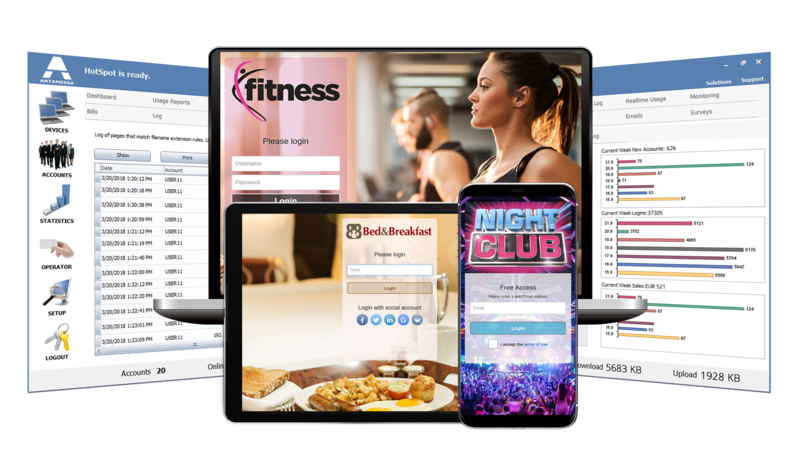 Build a free guest WiFi using social login, shared keywords, SMS or Email verification, or offer a faster paid WiFi access with a credit card or PayPal payments, pre-printed tickets, Hotel PMS integration with room/name, and keep 100% profit. Developed and supported by industry professionals, hotspot software comes with a lifetime license and free support. You need a PC with two network cards. PC running Hotspot software will be a gateway for your network. Customers are redirected to your self-branded login page to sign-in or pay before getting the Internet access, or automatically login with remaining quota and time. 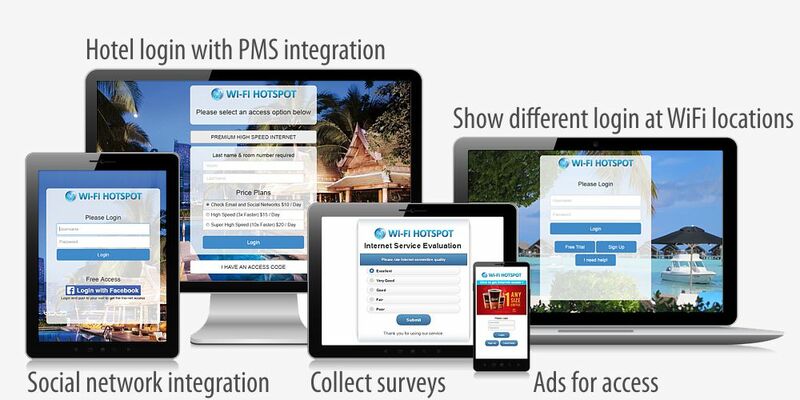 Display image and video ads on your Wi-Fi HotSpot pages for a complimentary Wi-Fi access. Create surveys to get valuable insight into customer needs, behaviour or wishes. Configure hotspot software to display targeted coupons based on survey data provided. Collect customer data and send Email campaigns. Engage customers with special offers and build customer loyalty. 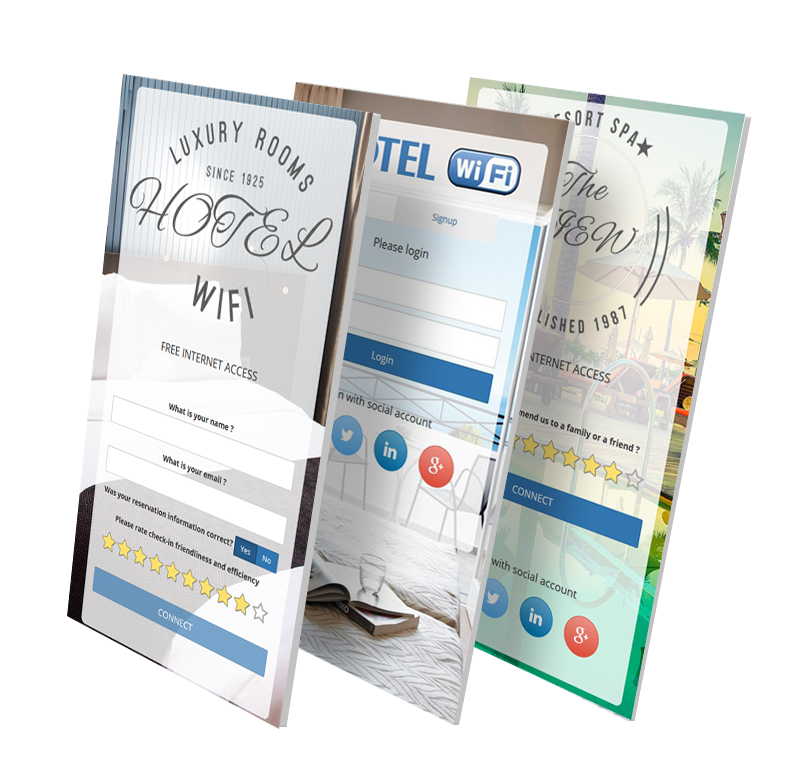 Enhance the customer experience with more than 50 responsive HotSpot themes. 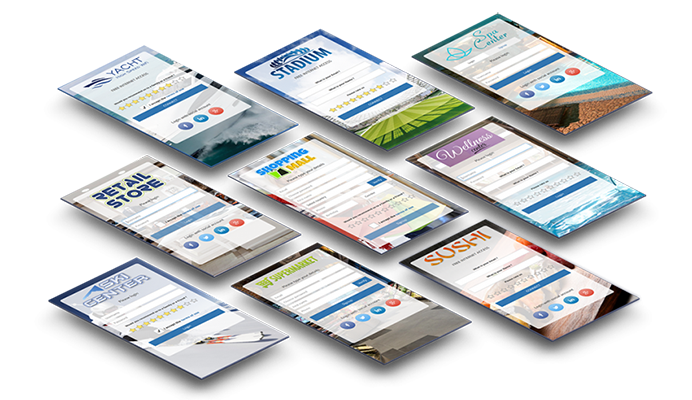 All the themes can be easily customized with your logo, background, branding, buttons and special elements like surveys, social login, signup forms. WiFi is a top hotel amenity that significantly influences hotel ranking. A fast and reliable WiFi network increases customer satisfaction, repeated booking and overall revenue. Hotspot Hotel WiFi is a robust and cost effective solution suitable for any hospitality deployment. 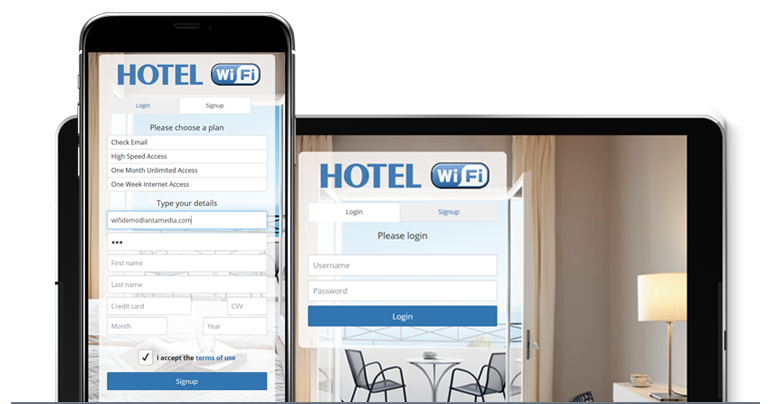 It controls user Internet access, sets limits, processes payments, engages users, provides powerful analytics and helps you run different marketing strategies to maximize revenue from your hotel WiFi. Build a free WiFi with social login, shared keyword, SMS or Email verification, or data collecting. Limit free access time, bandwidth, daytime, daily & monthly logins, expiration and interval between repeated sessions. Social WiFi is an essential social marketing tool which gathers valuable customer data for your email marketing campaigns. It is the preferred WiFi access method for many customers, as it helps connecting to WiFi in just two clicks. HotSpot Software V6 is a new version of the industry leading Windows Hotspot software. This guide will help you install and configure most important features. As the pioneers in WiFi industry, we have been improving and perfecting Hotspot software from 2005 to match your needs in this fast changing industry. HotSpot is implemented in many top companies worldwide. It’s feature-rich, scalable, hardware independent and it easily adapts to any WiFi management requirement. Our software was built with your needs and concerns in mind. 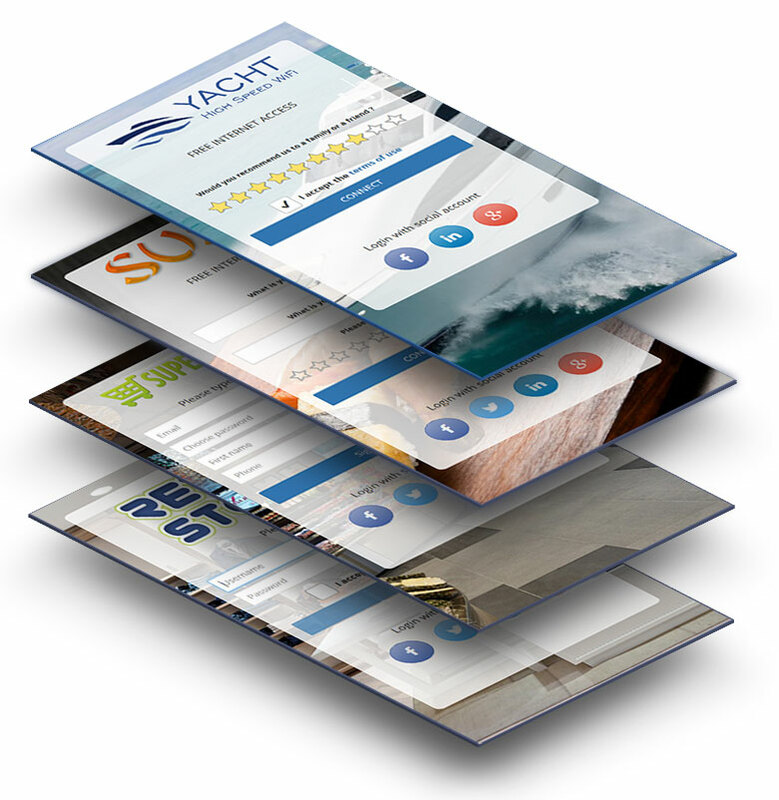 It easily scale from a little shop to a major hotel chain with the same simple interface.